Dr. Peter Gøtzsche: Forced Psychiatric Treatment Must Be Abolished. Anchorage, 2 June 2016. YouTube video and transscript. Council for Evidence-based Psychiatry. 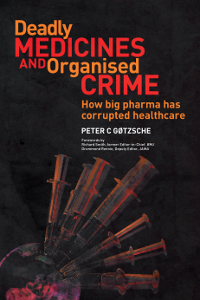 London, 18 Sept 2015: “More Harm Than Good: Confronting the Psychiatric Medication Epidemic”. 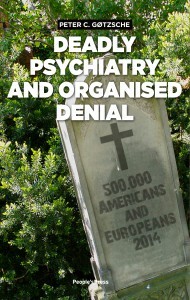 International meeting: Psychiatric drugs do more harm than good. Copenhagen, 16 Sept 2015. Programme and lectures and discussions. TV fra en anden planet (in Danish, 56 min.). 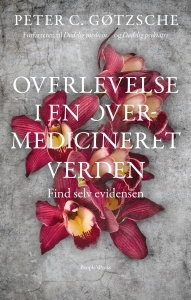 Om medicinalindustriens forbrydelser og krisen i psykiatrien. Juni 2015. 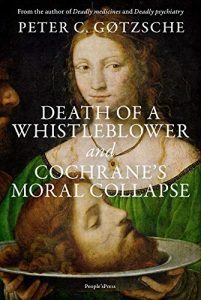 Bizarre events related to the Maudsley debate: ”This house believes that the long term use of psychiatric medications is causing more harm than good.” Some people have wondered why the Cochrane leadership tried to denigrate my research about the harms of psychiatric drugs in relation to the Maudsley debate, which took place in London on 13 May 2015. Read more here. On the wrong track in psychiatry. Meeting in Copenhagen, 14 May 2014 (53 minutes, English subtitles). Discussion with Robert Whitaker (46 minutes, in English). Psychiatry gone astray. Course for patients and professionals in Denmark, 3 Oct 2013 (1 hour, English subtitles). With Portuguese subtitles.